Let’s face it, I rely on Buzzfeed.com app for my “news” because the real news depresses and upsets me. Oprah hasn’t watched real news in decades and she is a happier person for it. Think about how behind the real news is. It’s a unisyllabic uncoolness minefield out there now. Buzzfeed will keep you ‘in the know’. 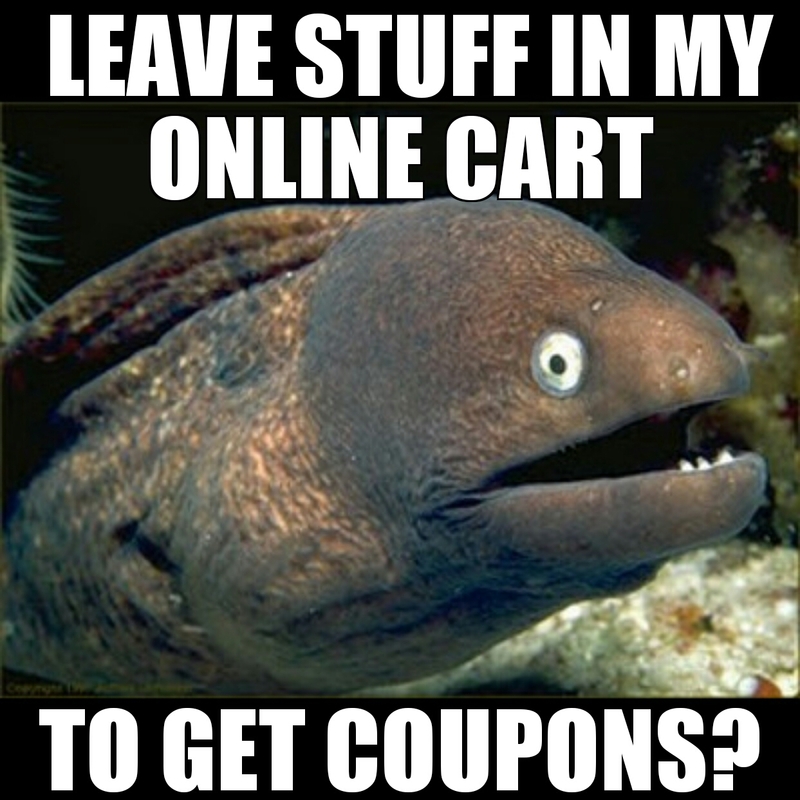 For example, leaving something in your online cart can generate a coupon at online places like Macy’s.com and many others. You need to sign in to your fav online shopping spot, like jcp.com, and put something in your cart so that they know where to send the enticing email with coupon. It may be the coolest thing you do today. Great tip! Doing this now, and will be stacking Ebates on top of it! !